Billy Connolly has apologised to fans for depressing them with comments he made about his health in a recent documentary. 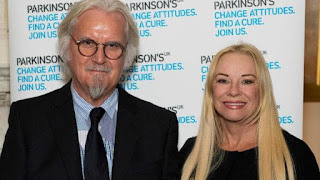 Connolly, who was diagnosed with Parkinson’s disease in 2013, said in a two-part BBC documentary which aired last week in the UK that his life was “slipping away” and that he was “near the end”. But Connolly backtracked on his comments in a video released by his wife Pamela Stephenson on Twitter this morning. In the Made In Scotland documentary, Connolly said: “I have got Parkinson’s and I am at the wrong end of the telescope of life. The Scottish comedian said that he doesn’t have the same balance, energy, hearing, sight or memory that he used to. “It’s like somebody is in charge of you and they’re saying, ‘Right, I added all these bits when you were a youth and now it’s time to subtract,’” he said in the documentary.